You don’t need a couple of crores to drive a supercar. 5,000 rupees will do. Yes, Delhi based ECO Rent-a-Car has come up with a unique self drive opportunity that will allow anyone with a valid driver’s licence and some spare cash in hand to rent an Audi R8 at an hourly rent of just 5,000 rupees. The self drive car rental company has inducted an Audi R8 V10 Plus supercar into its self drive fleet. 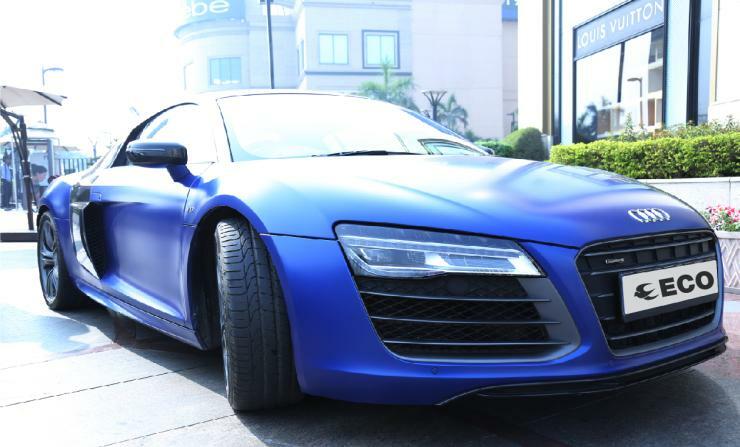 The Audi R8 V10 features a 5.2 liter V10 petrol engine that puts out 602 Bhp-560 Nm. This all wheel drive supercar is capable of hitting speeds of up to 320 Kph, with the 0-100 Kph sprint taking just 3.5 seconds. For 5,000 rupees, a car enthusiast will be able to rent the Audi R8 V10 Plus for 10 kilometers, following which each extra kilometer will be charged at Rs. 300 per Km. Still not a bad deal, isn’t it? You need to have some money in the bank or on your credit card to avail this once-in-a-lifetime experience though. ECO Rent-a-Car will block 2 lakh rupees on your credit card for the duration of the drive as an insurance against misuse of the supercar. This is standard procedure that most self drive car rental companies follow. So, time to get that AMEX gold card.